A few posts ago (here, to be precise) I noted that I was late to the Colourpop party. Well, I am even later to the Makeup Geek party, which is a real pity! 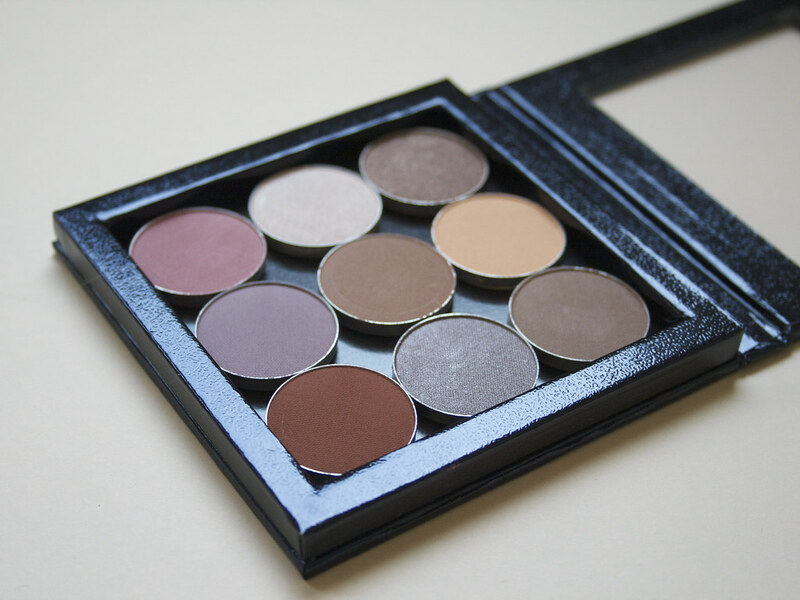 For the past few years I had heard bloggers and YouTubers rave about Makeup Geek shadows, but I was able to resist until I saw Jaclyn Hill's Antique Bronze Smokey Eye tutorial. The irony is that I think she only used one Makeup Geek shadow in this look (Peach Smoothie), but it was enough to make me place an order. Like 98% of my shadow purchases, I stuck to neutral shades for this order—but I did mix up the finishes a bit, getting some mattes and some shimmers. I limited myself to ordering 9 shadows, so that they would fit perfectly into a small Z palette ('cause I'm persnickety like that). I've worn at least one shade almost every day since I got these (Peach Smoothie, Unexpected, Latte, or some combination of them make fantastic crease colors). They are pigmented and incredibly blendable. I'm sorry I waited so long to try them out! I know many people suspect that YouTubers, in particular, only give these good reviews because they have received the products for free or are affiliates. Neither of those apply to me (I paid for these with my own money), but I still think they are great quality and would encourage anyone on the fence to give them a try. Each Makeup Geek shadow costs $5.99 (and are totally worth it) through MakeupGeek.com. What are your favorite shades? Let me know below!